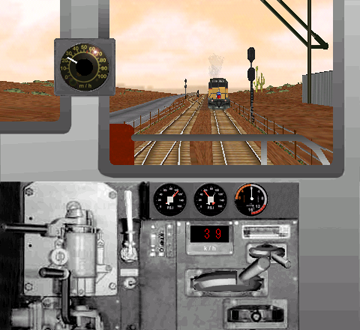 Diesel-electric engine class GP-38. The train consists of an engine and 15 cars. 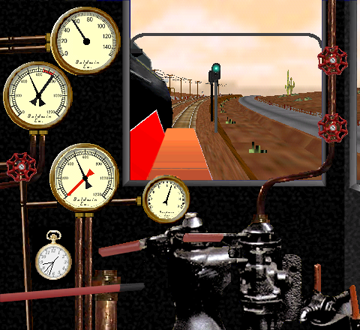 Photorealistic driver's stand with analogue speedometer (mph), digital speedometer (km/h), manometers (pressure gauges) and hectoampere meter (motor current in 100s of Ampere).